Who wants to think about insurance? Let’s be honest, nobody thinks very much about their insurance. You know you need protection, so you cover your car, your home and maybe a motorcycle, boat or RV. That’s good, but it’s important you don’t stop there. 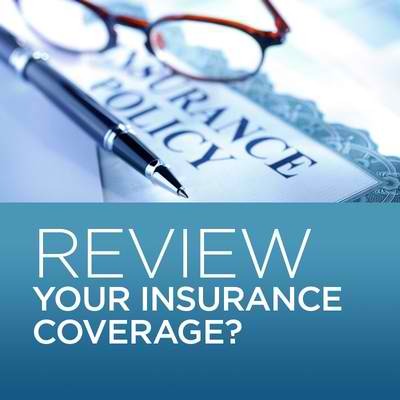 Changing circumstances may mean you need to change your insurance coverage. And the only way to know is with a thoughtful examination of your situation and your needs. Get an insurance check-up every year. You may think about modifying your insurance if major life changes like marriage, divorce or childbirth occur. But healthy financial habits should include an annual review your insurance, regardless of whether you have major life changes. You may be missing coverage you need or paying for coverage you don’t. Have you acquired expensive jewelry or electronics worth more than the limits in your policy? Does an older car no longer need the cost of collision coverage? Should you think about a small life insurance policy to cover a newborn to guarantee insurability in the future? Are you one of the growing number of self-employed who should consider personal disability insurance? What about long-term care? Tie your review to an annual event and call your agent. Keeping up with your protection needs can be easy. Make it a habit to check in with your insurance agent every year around your birthday, anniversary or other annual event like changing to Daylight Savings Time. Pick an event, put it on your calendar and make the call. You’ll be sure your protection matches your life situation and you may just save some money.